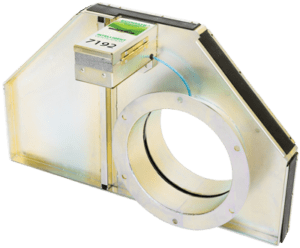 Although our dust collection control system is cost-effectively aimed at the home woodshop and small to medium cabinet shop market, you may have a need for a larger industrial installation. 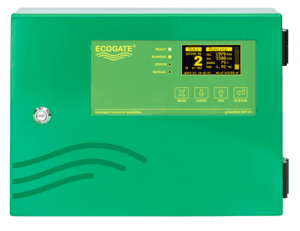 For larger facilities, Ecogate offers reliable, heavy-duty automated dust collection controls that make industrial dust collection systems run better, cleaner, and safer while reducing electricity use by more than 50%. Automatic blast gates are installed in drops at each workstation. They open when ventilation is needed, and close when it is not. 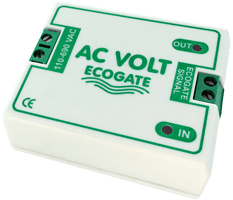 Ecogate offers heavy-duty automatic blast gates between 4″ and 18″ in diameter. The greenBOX is the brain of the Ecogate system. It gets input from sensors and controls blast gates as well as the Power Master VFD. 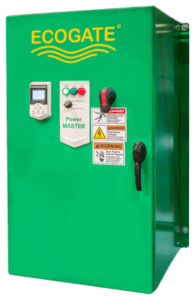 The Power Master Variable Frequency Drive controls the fan motor to optimize system performance based on machine activity in real-time. Sensors are installed at all workstations to detect when each machine requires dust collection. This information is sent to the greenBOX controller and drives system activity. For more information, please contact Ecogate directly.